Using a VPN on Android can help you access content that’s blocked in your region and help maintain your anonymity around the web. There are plenty of apps that offer VPN services for free and as a paid service, but which of them are worth your time? I tested six of the most popular VPN all-in-one apps (with Speedtest and the speedof.me HTML5 test) on Android to see how they stack up. You can also go your own way and use Android’s built-in VPN tool. With a few tweaks, you can make it a little easier to use, too. A VPN (Virtual Private Network) is basically a way to funnel all your web traffic through a remote server. This makes it look like you’re in a different location and obscures your real IP address. VPNs encrypt the traffic passing through them, making it harder for anyone else to listen in on your connection, even if you connect to an unsecured Wi-Fi network. Since your connection appears to be coming from a different area, you can access geo-restricted services like the BBC. Some of the more popular ones like Netflix and Hulu have gotten serious about blocking VPNs, though. It’s also important to note possible security issues with the VPN providers. They are getting access to all your traffic, after all. Some providers like Hola VPN have had security issues, so you should steer clear. VPNs do add another “hop” to your connection, so increased latency is usually part of the deal. A fast VPN shouldn’t add a perceptible amount of delay, but some free mobile VPNs will make it tough to do things like video calls. Speeds also vary dramatically from one service to the next, but that’s one of the things we’re here to test. TunnelBear has a cute app and a bear for a mascot. The VPN performance is solid, and there are no ads. It’s a much more pleasant app to use than some other freemium VPNs out there. It has a good selection of servers across the world too. The main drawback is limited data on the free tier. You get 500MB per month, and can earn more by tweeting about the service. If you want unlimited access, TunnelBear costs $4 per month. Be aware, you also need to set up an account to use TunnelBear. Material design with a viking. Opera VPN is well designed with a slick material interface and a cool viking mascot. I guess VPN mascots are a thing? Anyway, Opera VPN was one of the faster connections I tested, but there were a few connectivity hiccups. The ads are not particularly intrusive, which is good seeing as there’s no paid tier. There are no limits on Opera VPN aside from a block on Torrents. However, there are only five server locations available right now. Still, it’s free and pretty fast. Bad speeds, few options in free plan. The Betternet app is good enough, but has some odd design quirks like the full-screen navigation drawer. The ads aren’t too intrusive while the VPN is on, but there are full-screen popups when you open it. The big issue here is poor speeds in my testing. Both tests reported well under a megabit. You also cannot manually select any server locations in the free version. So, if you get a bad server (like I apparently did) you’re out of luck. The paid version of Betternet is $12 per month (which is a lot) for faster speeds, no ads, and more servers. I’d probably pass on this deal. Solid speeds and a rabbit. The speed of Turbo VPN isn’t exactly “turbo,” but it’s in-line with most other VPN apps on Android. The app is clean and has a rabbit mascot. I like the rabbit, but it also has plenty of full-screen ads. I don’t like those very much. There are only five server locations, which isn’t bad for a free VPN app. The annoying ads make this a less viable option than Opera VPN, though. Fantastic speeds, but a few too many ads. Hotspot Shield is the fastest VPN I tested in both tests—it wasn’t even close. It has some ads that can get annoying, but not nearly as bad as Turbo VPN. The app itself is easy to use and not too cluttered. Unfortunately, you have very few server locations in the free version. A premium Hotspot Shield account cost $12 per month. Again, that’s rather steep for a VPN on Android. This is actually a license that extends to other platforms like Windows and Mac, though. If you don’t need that, it’s not really worth the cost. Not the fastest and not enough servers. In my testing, SuperVPN wasn’t particularly fast, and the app is in need of some major updates. There are also a ton of ads—more than in any other app I tested. There are only four server locations available in the free version. The paid version that costs $5 per month with no ads and faster speeds. However, it requires a separate payment app, which is weird. There are better options. The world of VPNs is larger than what you can get in the Play Store. 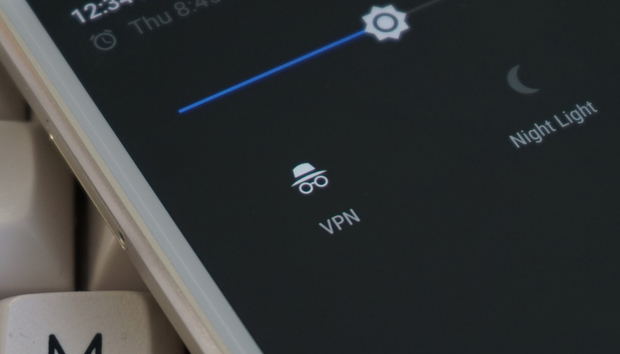 There are VPN providers that offer services on multiple platforms, and you can use your account information to set up a native VPN connection on Android. It takes a little more legwork, but it can be cheaper and more powerful. You will often get multiple simultaneous connections, so all your devices can access the VPN at once. Plug your VPN account into the Android menu. Some of the popular general VPN options are Private Internet Access, NordVPN, and KeepSolid. All will provide you with server and account details, which you can add to the Android VPN menu. That’s usually found under “More” in the Connections area of your system settings. Add the details provided by your VPN provider as a new VPN connection; you shouldn’t need to change the default connection type or mess around with the advanced settings. One annoyance here is that you need to create a new VPN connection for each server location. That also means digging into the menu each time you want to toggle it on or off. You can alleviate some of that annoyance by creating a custom quick settings shortcut to your VPNs with Custom Quick Settings or a similar app. However you decide to do it, using a VPN is good common sense when you’re connecting to networks you can’t completely trust. The privacy boost is desirable in this day and age. As for accessing content, that’ll work sometimes.